SigFig Review and Problems 2019: Is It Safe? SigFig is the "middleman" between you and your advisor. It's not your traditional robo-advisor that you invest with directly. Instead, you give access to your brokerage account with Charles Schwab, Fidelity, or TD Ameritrade. (If you invest with a different broker, you'll have to move your assets over). You then have a managed account that SigFig handles for you while keeping you in the loop around-the-clock. So while SigFig is "free" (read more below) and they handle your investments for you, there are some things you'll want to know before jumping on board. SigFig's goal is to help you invest better. They manage your account while keeping your funds with your existing broker, as long as it's one of the three partner brokers. If your money is elsewhere, or you have yet to choose a broker, SigFig will start your account with TD Ameritrade and manage your funds through them. Portfolio Tracker: This free service tracks your existing portfolio. It does not manage the portfolio, but tracks it for you, no matter which brokerage you use. You'll answer a few brief questions to gauge your risk tolerance. 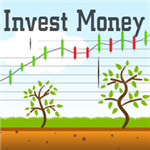 The system then provides advice regarding your current portfolio and how you could make it better. Managed Accounts: This is SigFig's bread and butter. They help you balance your portfolio while minimizing costs and diversifying the risk. You'll answer questions regarding your risk tolerance, income, invested assets, and age. The robo-advisor will create a recommended portfolio and manage it for you moving forward. SigFig offers taxable accounts for both individual and joint accounts as well as IRAs, including Roth, Traditional, Rollover, SEP and SIMPLE IRAs. SigFig's fees are among the lowest in the industry. Aside from the free Portfolio Tracker, you can have the first $10,000 of your assets actively managed free of charge. SigFig does not charge a fee until your assets exceed $10,000, at which point you will pay 0.25% of your managed assets per year. SigFig pulls the fee on a monthly basis automatically from the cash balance on your account. They never pull money from an investment. If you are a hands-off investor with your funds at Charles Schwab, TD Ameritrade, or Fidelity, SigFig offers a valuable service at low cost (especially if you have less than $10,000). Their management service offers continual optimization of your account. If you don't have time to optimize your own account or are trying to minimize your fees, it can be a valuable service. If, however, you have an account elsewhere, it may not be worth it, as it will cost you to transfer your existing assets to a new broker. Add to that the 0.25% annual fee, and the costs could outweigh the benefits. SigFig has been named the top investment app for both Apple and Android devices. The app looks similar to what you see online, making it easy to manage your investments on-the-go. Whether you use the free Portfolio Tracker or you have managed assets, the app is user-friendly and helpful for investors on-the-go. Since SigFig doesn't take custody of your funds, your safety concerns should be with your chosen broker. All three brokers (Charles Schwab, TD Ameritrade, and Fidelity) carry SIPC coverage. This protects you against broker failure. It does not protect you against bad advice, failing stocks, or any type of market loss. SIPC offers coverage for accounts up to $500,000 with a maximum of $250,000 in cash. Small investors can have their assets managed for free. SigFig charges nothing for investors with less than $10,000 in assets. If you are just starting out, this can be a great way to maximize your investments and lower your fees. They use tax-loss harvesting techniques. Tax-loss harvesting helps investors minimize their capital gains at tax time. If your account balance is $10,000 or higher, SigFig offers this service as well as other strategies to minimize tax consequences when rebalancing accounts. They also whitelist accounts, which holds onto existing investments if they are similar to the portfolio SigFig chose. This decreases capital gains and minimizes taxes that could result when starting a new portfolio. They keep cash balances to a minimum. 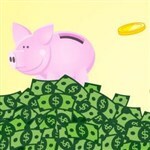 SigFig only leaves enough cash in your account to cover your monthly fees (if you have a balance higher than $10,000). Otherwise, a majority of your cash and new cash deposits are immediately invested. They automatically reinvest dividends. As stated above, SigFig keeps your cash balance to a minimum. They enforce this by automatically reinvesting your dividends unless you tell them otherwise. You have access to human advisors. Robo-advisors traditionally don't offer access to human advice. It's the point behind the "robo" part of the business. SigFig does offer human advice and it doesn't cost anything. You have to set up an appointment and you are limited to 15 minutes, though. You can track 401(k) accounts or brokerage accounts outside of the partner brokers for free. The Portfolio Tracker is a great way to get advice on accounts SigFig won't manage, giving you third-party input on your hard-earned investments. It's a great way to track all of your investments in one place no matter how many different banks/brokers you use. You won't pay commission or trade fees. SigFig doesn't charge any commission or trade fees. The only time you will pay either fee is if your current broker charges them. SigFig only purchases commission-free ETFs (primarily from Charles Schwab, iShares, and Vanguard). The average expense ratio on SigFig's chosen ETFs is between 0.7% and 0.15%. SigFig automatically rebalances your account. Like its robo-advisor competitors, SigFig offers automated rebalancing. If your investments suddenly start skewing the wrong way, SigFig rebalances your portfolio to get it back to the proper allocation. They offer this service continually, which helps to minimize losses in the long run. You can monitor your portfolio at any time and even on-the-go. If you are the type of person who likes 24-hour access to your portfolio no matter where you are, you'll love the SigFig app. The app provides all of the same information as the desktop version, making it easy to make changes or just see your portfolio in seconds. You can have SigFig manage just a portion of your portfolio. Some investors only want a portion of their portfolio managed, and SigFig allows that. You just go into your account and choose which areas you want managed and which you want left alone. You can change your risk tolerance at any time. If you ever get nervous about your portfolio or your circumstances change, you can change your risk tolerance quickly in the app or desktop program and SigFig will adjust accordingly. You need at least $2,000 for an initial investment. If you are just starting out, $2,000 can seem pretty steep. 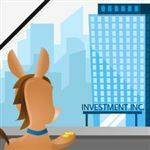 Compared to its competitors, like Wealthfront, which requires only $500, the minimum initial investment can seem too high. You must invest with one of the three partner brokers. If you have a brokerage account with someone other than TD Ameritrade, Fidelity, or Charles Schwab, you will have to change brokers. This could result in additional costs and time. SigFig does say that they minimize the costs by whitelisting, but it could be difficult to avoid costs altogether. They have a small account selection. Your only options are taxable accounts (individual or joint) or IRAs. They do not offer 529 savings plans, 401(k)s, or any other investment or banking options. SigFig vs Acorns: SigFig manages your assets of $2,000 and up. Acorns invests your spare change. While they are both robo-advisors, their similarities end right there. SigFig vs Betterment: SigFig and Betterment charge fees similar to those charged by SigFig if you invest more than $10,000. Betterment manages 401(k) accounts and SigFig doesn't. Both services rebalance your portfolio and offer the same type of accounts. Where Betterment shines is the minimum investment required - they don't require a minimum. SigFig vs Wealthfront: Wealthfront has one distinct advantage over SigFig - the minimum balance. Wealthfront requires just $500 and charges the same 0.25% annual fee. Wealthfront also has more account options, including a 529 savings plan. Wealthfront, however, does not offer human advice like SigFig. Is SigFig right for you? If you already use one of the three preferred brokerages and you have less than $10,000 invested, it's a no-brainer because it costs nothing. If you have more than $10,000 invested or you are already with a different broker, you may want to look elsewhere as the fees could get rather high. Leave a comment about SigFig Review: Is It Good?